Jennifer Chase holds a bachelor degree in police forensics and a master's degree in criminology. In addition, she holds certifications in serial crime and criminal profiling. She is also an affiliate member in the criminology section of the Academy of Behavioral Profiling (ABP). Jennifer is an author, freelance writer, and criminologist. She has recently authored two thriller novels "Compulsion" and "Dead Game". In addition, she currently assists clients in ghostwriting, book reviews, blogs, articles, screenwriting, copywriting, editing, and research. Jennifer was born and raised in California where she currently resides with her husband, two dogs, and two cats. She developed a love for books and writing at an early age. Jennifer has an intense curiosity about crime and the varied connections between the actual crime and the criminal mind. This propelled her to return to school and earn a master's degree in criminology. Her academic background has helped to prepare her to write in the thriller and true crime genres. Emily uses her talents and resources to find child predators. She is usually a step or two ahead of the police. She anonymously submits the information to the police leading them to the victim and the perpetrator. Rick Lopez is her law-enforcement mentor. 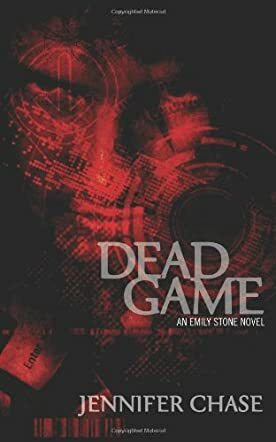 Emily’s friend Milt is murdered by a serial killer. Emily and Rick begin investigating. Milt’s friends Jordan and Derek assist in the search for the killer. The trail leads them deep into the world of online social networking and to the company where Jordan and Derek work. The murders revolve around Dead Game. Rick and Emily are in grave danger when the killer shifts his focus on them. Jennifer Chase offers readers an action packed thriller. She continues to develop the characters we all came to love in Compulsion. There is a bit of romance developing between Emily and Rick. Jordan is attracted to Emily causing just a bit of jealousy from Rick. Chase continues to hone her writing skills. I enjoyed Compulsion, I love Dead Game. There are plenty of twists and turns to keep the reader on the edge of their seat. Dead Game shines light of the danger of online networking. I enjoy being online and there is a lot of good out there in cyber land; however, there is also a lot of bad. Dead Game reminds us to be careful. Chase is at the top of my author list. Don’t miss this one! Get your copy today.